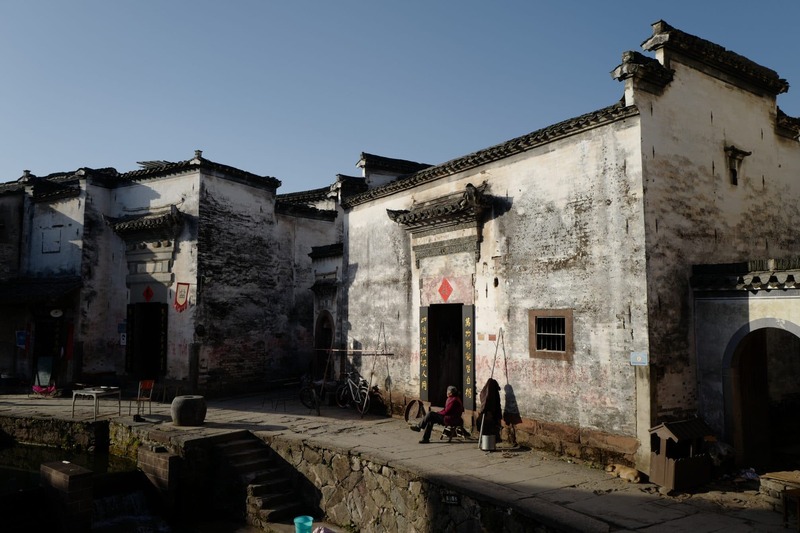 In China the English language is a fickle thing where the normal rules of grammar, punctuation and general comprehensible sentence structure do not seem to apply. 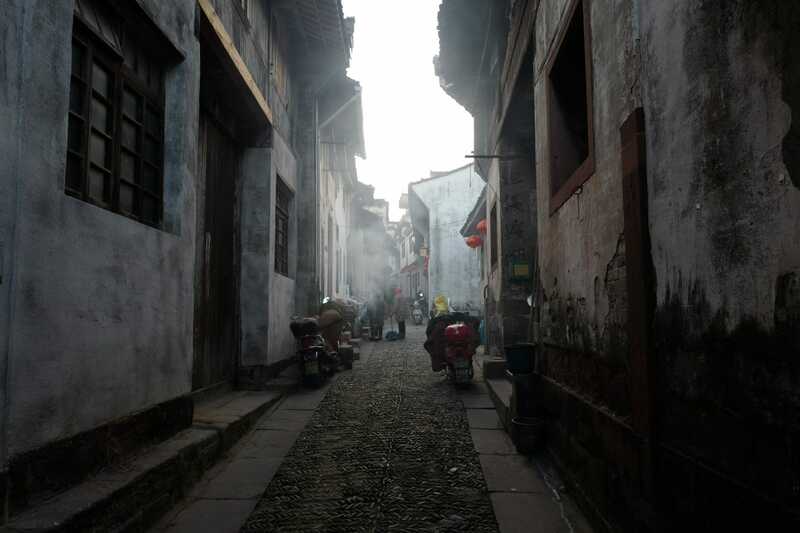 So prolific is this phenomenon that they even have a name for it: Chinglish. 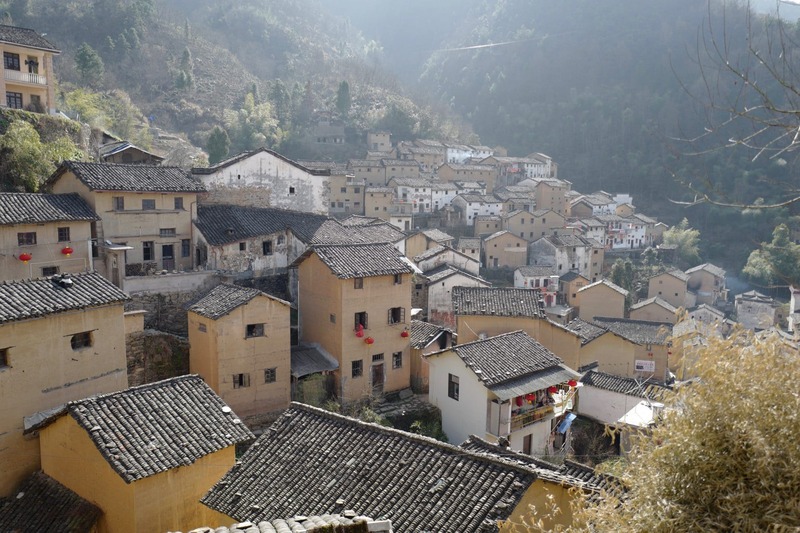 Today’s post is a homage to this most wonderful of Frankenstein languages which keeps foreigners chuckling all day long and undoubtedly has sign makers busy when hapless proprietors realise their English faux pas (or not as the case is usually). 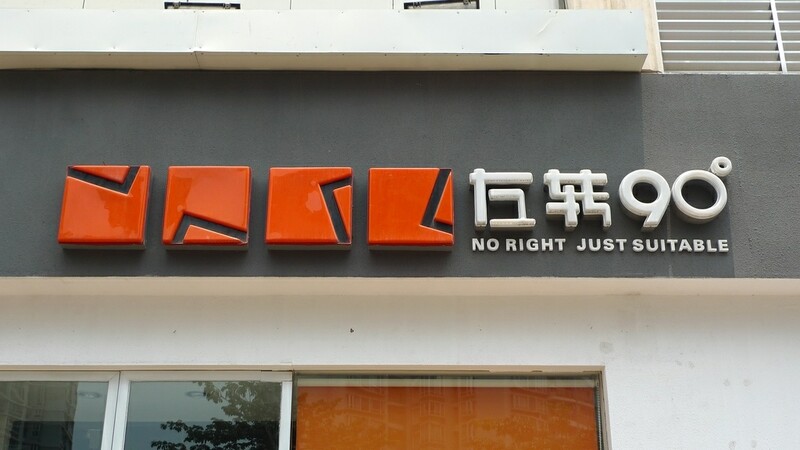 No Right Just Suitable – a clothes shop where you’ll never find exactly what you’re looking for but it’ll be suitable nevertheless. 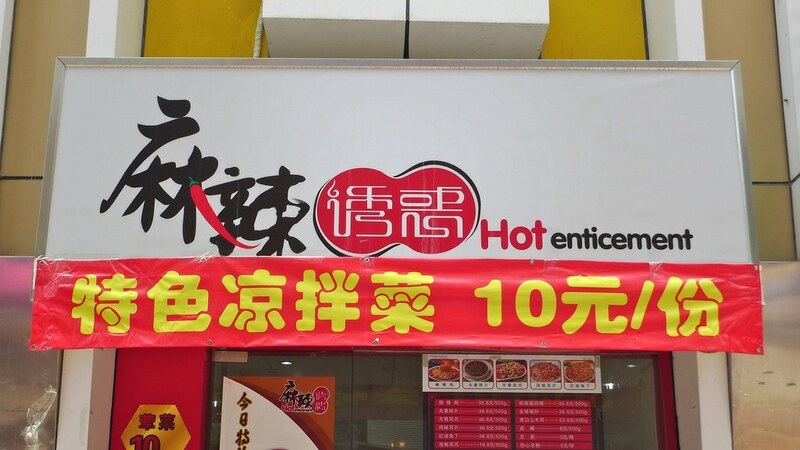 Hot Enticement – selling all manner of spicy foods to entice you into its fiery lair. Very reasonable prices too! 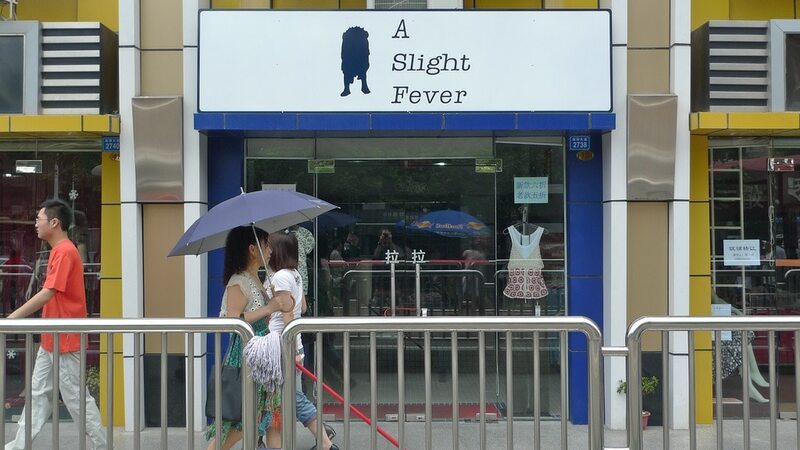 A Slight Fever – just what this is supposed to mean I don’t know. Is that a dog? A place to catch Swine Flu? Confusing. Dolci & Vita – not content with getting the spelling wrong the use of “&” also seems rather unnecessary but when you’re living the sweet life who cares (it’s a cake shop). King Kong – shoes for people with big feet perhaps or just a homage to the fictitious ape? 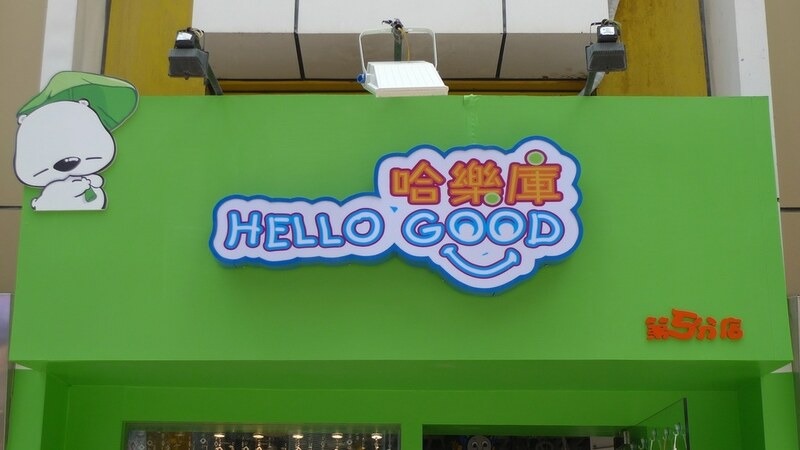 Hello Good – say no more. 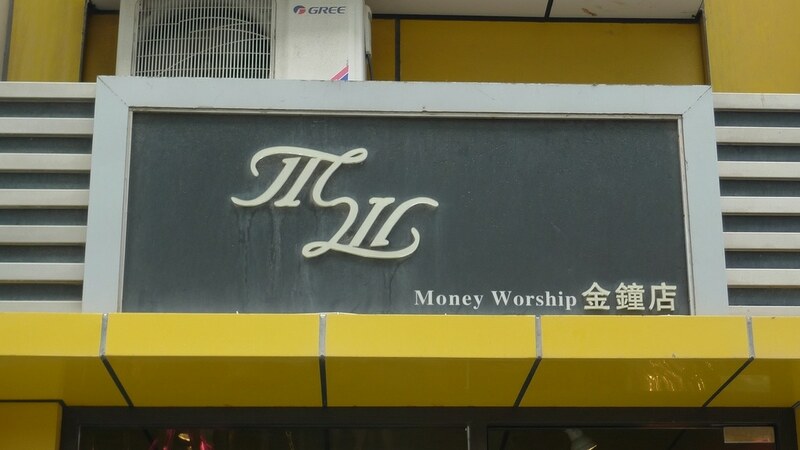 Money Worship – ironically appropriate for China but probably lost on its owner. 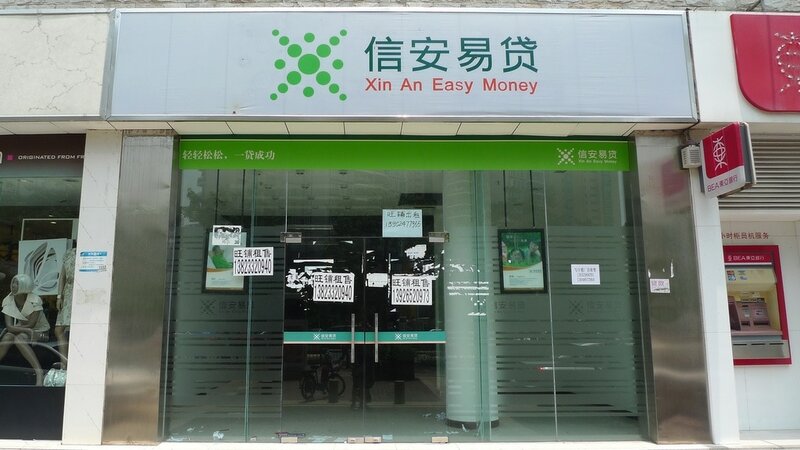 Xin An Easy Money – perhaps not strictly Chinglish but clearly the money at this particular bank was a bit too easy! 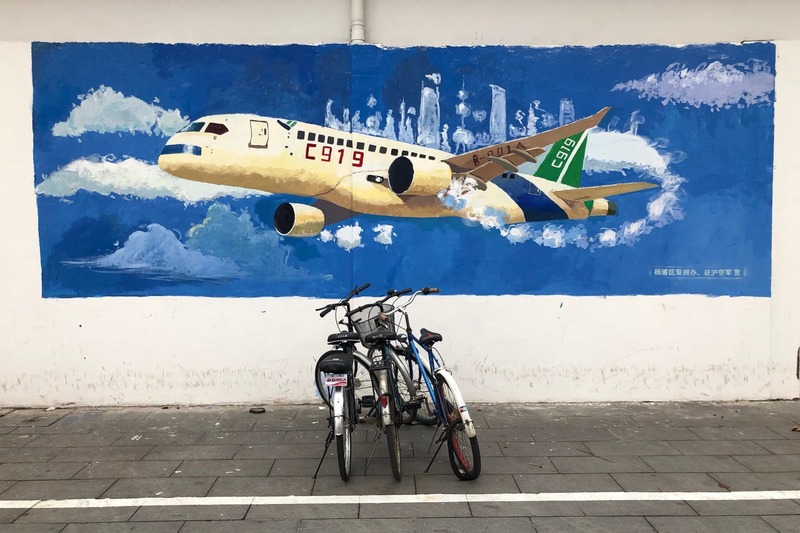 This is just the tip of the iceberg – Chinglish can be found on t-shirts, advertisements, books, you name it… I could start a whole blog on this subject but I think you’ve got the picture. 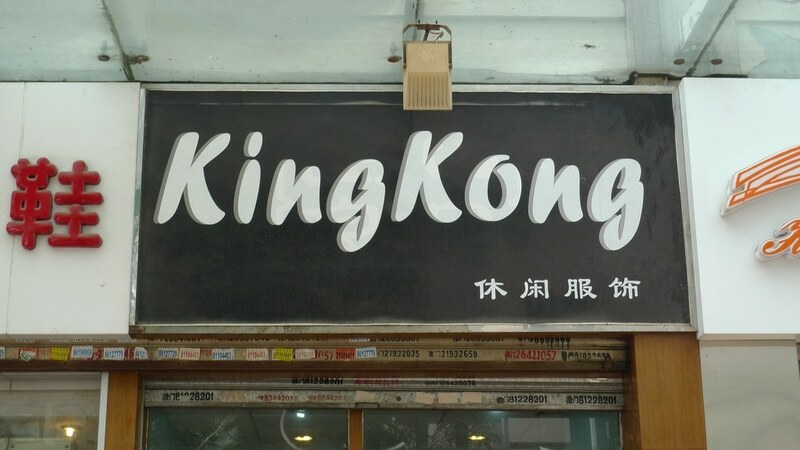 If/when I start my own company in China I’m going to give it an equally wacky name. Any suggestions? I showed this post to my roommates.We laughed incredibly hard,and correspondingly felt embarrassesed.^^Yea,like you said,”say no more”. With an English major you’ll be made for life in China 🙂 I sometimes wonder if those dodgy foreign teachers do this sort of thing on purpose just for a laugh! I’ve seen an Indian restaurant with the name “Gaylord”. It obviously made lots of sense to the owner to call his restaurant that. 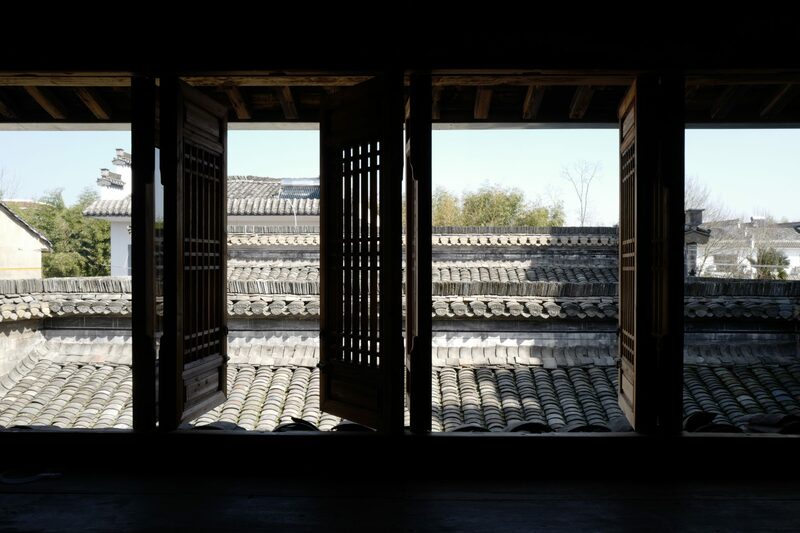 Languages and cultures mixed together often yield quite a conondrum. Love them especially ‘A Slight Fever’. What on earth is the thing next to it! 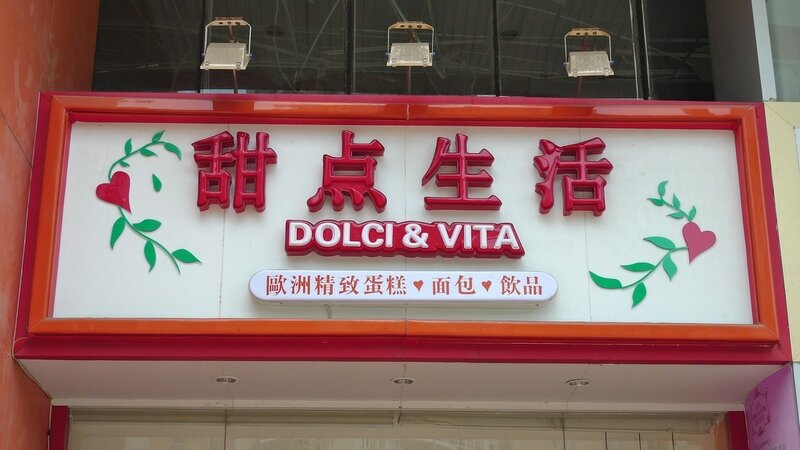 The shop with Italian name Dolci & Vita, i think it is not that bad. 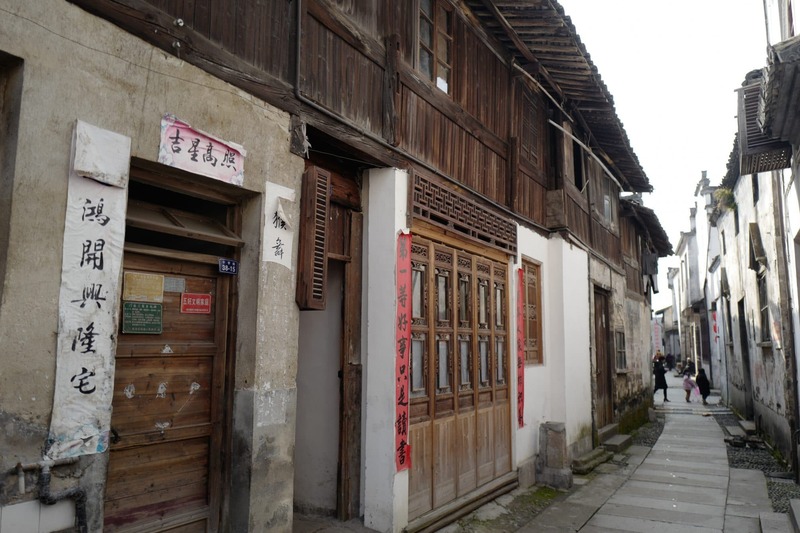 甜点生活 (DOLCI&VITA).